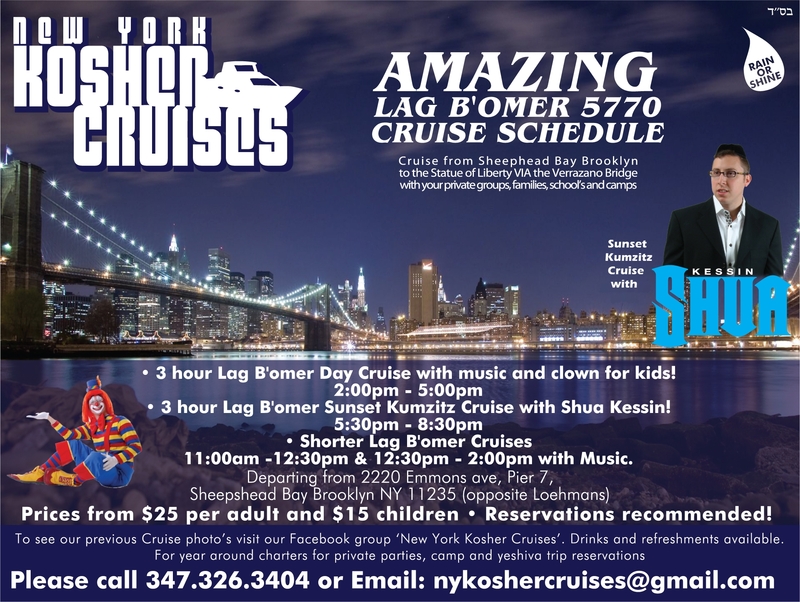 Shua Kessin will be hitting the Kosher Cruise scene this coming Lag B’Omer. Here is all the information you’ll need to know. To see our previous cruise photos visit our Facebook group “New York Kosher Cruises” .Drinks and refreshments available. Year around charters for private parties,camp and yeshiva trip reservations.